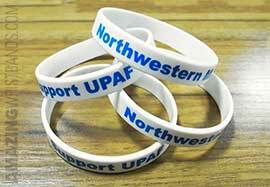 Screen-printed wristbands are the best solution for wristbands that require a very specific imprinted design. Made from high-quality silicone, screen-printed bands carry your personalized, branded message with your own graphics. Our customized silicone bracelets are durable, comfortable, and non-allergenic. Screen printed rubber bracelets features your design and text, printed directly on the band in crystal clear detail. 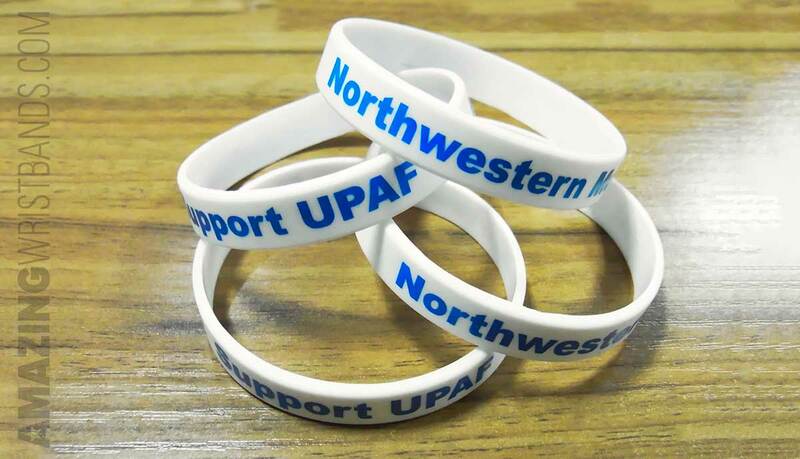 These custom bands are a very affordable option for marketing, promotion, and awareness campaigns. AmazingWristbands.com offers great prices, quality products, and customer service that are second to none.